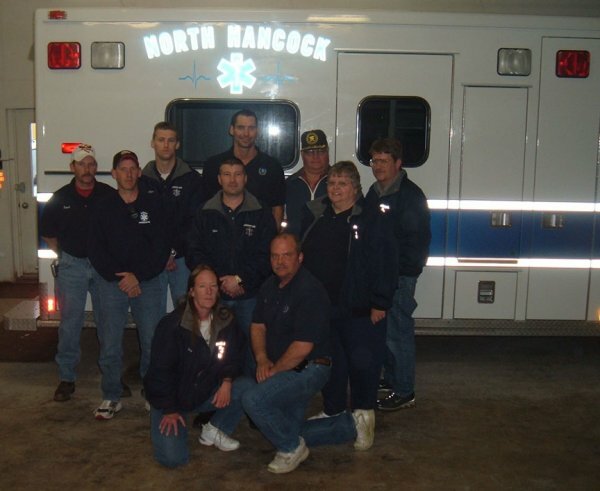 The North Hancock County Ambulance was awarded a grant from the Community Endowment Foundation at Great River Health Systems. After filing the application they were awarded $5,000.00. This money is going to be used to continue to help them provide high quality rapid, emergency care and transport to the community. There are many items that they have considered, but have decided on portable, battery operated suction units. Illinois requires that every ambulance have a portable suction unit available on each ambulance. These units will replace the manual pump device that is currently being used. Along with proper equipment, it is also of equal importance that they keep the volunteers training current. The state of Illinois requires that they staff their service with 2 EMT- Basics at all times. It has been hard for the volunteers to maintain these requirements due to the limited educational opportunities available. To help them maintain appropriate educational requirements they will also be using grant funds to purchase a multimedia projector, laptop and screen for high quality power point presentations utilized by many instructors. For further information in regards to how the grant money is being used contact the La Harpe Ambulance Service.